Become a mentor, classroom volunteer and more. Check out all the volunteer opportunities we have below. A question was posed , “How can we teach financial capability to those who can’t read”? Only 20% of low-income students are proficient in reading by the fourth grade. Money Smart Month KC has worked to connect literacy with financial capability. There are many partners that are working to implement financial and entrepreneurship themed books into the literacy initiatives. Turn the Page KC is establishing an opportunity for groups to purchase financially-themed books for literacy education. Literacy volunteers can read books themed to financial education and entrepreneurship and encourage youth savings accounts and dedicated college savings as part of their literacy outreach. It is the goal of many groups to establish Kansas City as the most entrepreneurial city in the United States. For this reason, the AEI is supporting the collaboration between literacy and entrepreneurship, small business, and financial capability. Turn the Page KC has set up a way to provide entrepreneurship, small business, and financial education-themed books to kindergarten through third graders. This can happen in a variety of ways. Individuals can purchase a book or two, companies can purchase many books for a particular reading program or school, or larger organizations could adopt a school, purchase books for the school, and provide reading volunteers to youth in the school. Just recently a financial institution adopted a school, purchased books and provided volunteers to read the books with the youth in the literacy programs. If we are going to create a city of entrepreneurs, we need to start that message very early to thousands of children. This effort could greatly affect low- and moderate-income children with the goal of every child to be literate, understand entrepreneurship, and receive financial education by the end of the third grade. We also hope that this effort will encourage the opening of bank accounts and college savings accounts for youth by the end of the third grade. There are approximately 145,000 adults that cannot read in Metropolitan Kansas City. Literacy Kansas City is a non-profit organization providing no-cost, individualized tutoring services to adults in the greater Kansas City area. 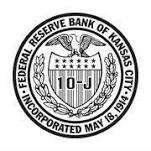 Money Talk Financial is seeking 10 volunteers interested in teaching financial literacy classes to small groups in Metropolitan Kansas City. These volunteer opportunities are located within various school districts. Most school districts will consist of majority low- and moderate-income schools. Other conditions such as background checks might be necessary to participate as a volunteer. Money Smart Month KC representatives are working with mentoring organizations to increase financial capability for the youth and the family as part of the outreach process. Mentors are encouraged to talk to their mentorees about money, savings, college savings and financial education. Mentors are also encouraged to walk mentorees into financial institutions to bridge a positive relationship between the youth and bank. Achieveing financial empowerment for adults includes finding long term employment with substainable wages. Providing a network of support, and feedback throughout the job search, resume building, and mock interview process, enables connections, as well as, tips that these individuals need for success. Volunteers can be supportive as job search assistants, resume writers/reviewers, and as mock interviewers. Volunteers can teach financial education classes that result in financial capability and economic mobility. We are seeking volunteers interested in teaching financial literacy classes in both English and Spanish to small groups in Olathe, Overland Park and Kansas City, KS. Flexible days and hours are available and materials are provided. Classes are offered in our Emergency Assistance Centers. We are seeking volunteers interested in mentoring adults who are taking classes through the Community America Credit Union. Opportunities are available in both Wyandotte and Johnson counties. A one year commitment is required. The School of Economics is a bustling marketplace simulation for elementary school students. Field trips bring about 80 students to the facility every day for “hands-on” practice of the financial concepts they have learned in the classroom. Volunteers can help young bank tellers and loan officers, ages 10-12, perform money-handling tasks in the bank or credit union. Together you will cash checks, take deposits, process loans, and calculate interest earned. Other adults can help in the student-run shops, producing and selling merchandise, and trying to make a profit. Money Smart Month of Greater Kansas City is a public awareness campaign designed to help consumers better manage their personal finances. This is achieved through the collaboration and coordinated effort of hundreds of organizations across the Kansas City metropolitan area including businesses, financial institutions, schools, libraries, not-for-profits, government agencies and the media. These groups come together in April of each year to stress the importance of financial literacy, inform consumers about where they can get help, and provide free educational seminars, workshops and activities throughout the month of April. Even though our focus is in the month of April, there are also activities held throughout the year. Programming is offered to all ages and income levels and covers all areas of personal finance from establishing a budget to first-time home buying to estate planning. Learn more about all of the Event’s Activities and Volunteer Opportunities. Next Step KC and the MU Extension operate several IRS-sponsored Volunteer Income Tax Assistance (VITA) tax preparation sites in the Kansas City area. VITA offers free tax help to hard-working taxpayers with incomes of $53,000 and below who cannot prepare their own tax returns. Although approximately 30,000 individuals have had their taxes prepared for free at free tax sites in metropolitan Kansas City, almost a million individuals qualify for the free service. More tax preparation volunteers could mean a savings of millions for low- and moderate-income families in Metropolitan Kansas City. Click on Next Step logo to visit their website to Learn More about volunteering. You will need to call for more information with the MU Extension. These are great initiative but what does it have to do with financial education, financial capability and economic mobility? Groups like giving the Basics provides a mass amount of products to almost every school district that has a majority of low- and moderate-income students. How is a student supposed to learn if they don’t have their basic needs met? How do they improve in math and reading if they don’t want to go to school because they are embarrassed? If education is directly related to income and income is directly related to economic mobility, then we must remove as many barriers as we can to ensure students have positive opportunities. Other groups are providing low-cost computers. And other groups are providing a variety of stabilization services that need volunteers. Banking the unbanked is extremely important. That being said, almost every low -and moderate-income family has multiple needs. We are working to stabilize families with multiple issues by providing support for community based organizations with volunteer needs. Some of your friends and neighbors may need our products during hard times in their lives. They may not want to ask for for assistance because they may not want to expose the depth of their hardships but Giving the Basics wants to be sure human dignity products are available whenever needs occur. Catholic Charities of Kansas City-St. Joseph serves over 75,000 individuals each year. Our clients come from all walks of life. From young mothers to homeless veterans–our agency works to fulfill the most basic needs. Volunteers are the heart of MLM. Our goal is to find a meaningful way for you to walk alongside MLM to serve the poor. How can we Help? Connecting those in need with food, housing, health care, education, employment services and other resources. In order to see these efforts impact those in need, we need hundreds of used computers. With your help, we can see many lives changed simply because they will be able to connect to all the resources available through the Internet. Won’t you help? This is a great time to give us your unused PC equipment and get a year end tax deduction at the same time. What is no longer useful to you can be turned into something that will chage the life of a child in an under resources urban core family. As a participant in the Microsoft Registered Refurbisher Program, we follow a strict set of data sanitation standards that protects the confidentiality of the information on donated computers we receive. Join The Movement – Uncover KC. Want to serve the homeless? Walk dogs at the humane shelter? Play with at-risk children? Whether you’re looking for ways to give back by yourself or as a group, Uncover KC can find the perfect opportunity to utilize your talents and help others in need. 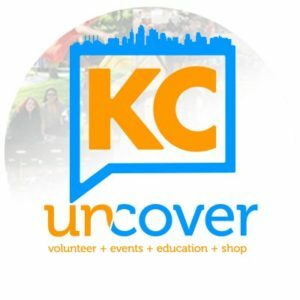 If you’re in need of volunteers, Uncover KC can help. Check Out United Way’s Get Connected – Get connected is an easy to use, web-based platform that matches volunteers with need in your neighborhood. Please see the one-minute video which gives a full overview of how easy it is to see hundreds of volunteer opportunities in your area.